There’s not much worse than a clogged pipe and having to scramble for a paper clip because you should have cleaned your glass last week. 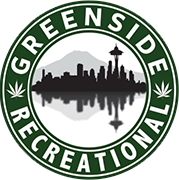 After you’ve purchased your quality buds legally from Greenside Recreational in Des Moines, Washington, make a quick stop by the store on your way home so you can easily clean your pipes for five bucks! You’re likely to already have these things in your house, but if you don’t, grab some sea salt and some rubbing alcohol with 70%+ alcohol. It’s not necessary, but I like to finish my glass cleaning with some lime juice. The Dollar Store should carry all of this, but you will still be able to purchase everything for under $5. A ziplock bag will also be necessary. Of course, smoking beforehand always helps with the cleaning process. Granted, you might forget to clean your pipe after you smoke. But if you do remember, you’ll have clean glass afterwards. Fortunately I was able to still smoke out of my pipe before I cleaned it. Tonight I’m smoking some Ken’s Kush from Farmer J’s. After you’re good and baked, grab your stuff and do this over an empty sink if possible (just in case you spill). Pour in some of the rubbing alcohol and some of the salt. After you’ve poured in the salt and alcohol, zip up the bag and work some of the salt into the inside of the pipe. This will work to scrub the resin off the inside. After you’ve completed this first step, make sure the bag is zipped tight, then proceed to shake it. Ideally you should do this with salt inside so it will scrub the resin out. If you happen have an extra pipe and can let the bag sit over night, we highly recommend an overnight soak. I couldn’t find my other pipe so I let it sit for about an hour. The bowl itself is likely to be the hardest spot to clean. You can see in the first pic above that a little scrape from a paper clip helps take this off. But in the second pic you can see it didn’t quite come clean. So I threw it back in the bag with some more salt and alcohol. After the second round of salt and alcohol, and a second hour, I achieved the results I was after. Next is the step that isn’t necessary, but will leave your pipe smelling fresh and clean since the salt and alcohol can leave an unpleasant after taste. The lime juice solves this problem. Throw it back in the bag (a clean one if you have it) and shake it like before. There’s really no amount of time this needs to sit like before, but giving it some time assures the taste of salt and alcohol disappear. And just like that–you’ve got a clean like new pipe and plenty of stuff to clean your pipes for five bucks! Interested in a new pipe, we have a great selection and a knowledgeable staff. Visit our glass-room today! Next Make an Apple Pipe!